Ghosts of Speed asked some fast guys how they tune racing sails for speedsurfing. This clip is a technical extra content for the coming documentary Ghosts of Speed. You can geta copy of the whole movie here gosmovie.com, which is set to come out this December. In this episode Ben Proffitt brings us a bit of action from Robby Swift and Marcillio Browne. Plus he brings us a tutorial on doing a stalled forward. Jem Hall takes us through front side wave sailing and adds another dimension as he talks you through the technique of the One Handed Top Turn and informs you of why you should be adding this fun move to your skill set .. Focus, Believe and Enjoy! 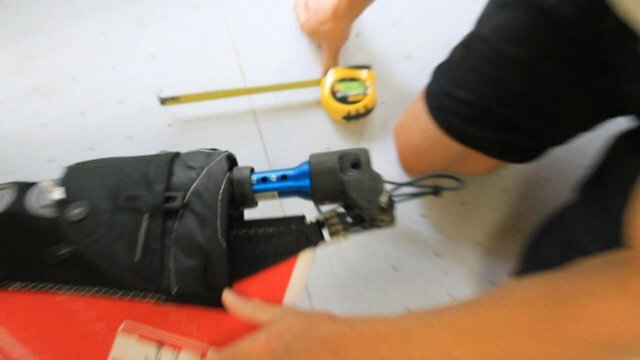 Fanatic shaper Sebastian Wenzel and Fanatic team riders Peter Volwater, Kurosh Kiani & Pierre Mortefon give some tips and tricks about tuning slalom gear.